A selection of books that arrived in the past month. Look out for them as they hit the shelves, or speed up the process by requesting a book. The Structure of modern Irish/ Brian Nolan. Equinox, 2012. New perspectives on Irish English/ ed. Bettina Migge, Máire Ní Chiosáin. John Benjamins, 2012. Ex-combatants, religion and peace in Northern Ireland: the role of religion in transitional justice/ John Brewer, David Mitchell, Gerard Leavey. Palgrave Macmillan, 2013. Negotiating insanity in the Southeast of Ireland, 1820-1900 / Catherine Cox. Manchester University Press. Irish/ness is all around us: language revivalism and the culture of ethnic identity in Northern Ireland. Berghahn Books, 2013. Policing for peace in Northern Ireland: change, conflict and community confidence/ Joanne Murphy. Template for peace: Northern Ireland, 1972-75/ Shaun McDaid. Manchester University Press, 2013. The Clarissa von Ranke letters and the Ranke-Graves correspondence, 1843-1886. Edwin Mellen Press, 2012. Holodomor and Gorta Mór: Histories, memories and representations of famine in Ukraine and Ireland. Anthem, 2012. ‘Natural leaders’ and their world: politics, culture and society in Belfast, c. 1801-31. Liverpool University Press, 2012. Up the Republic! Towards a new Ireland /edited by Fintan O’Toole. Faber, 2012. 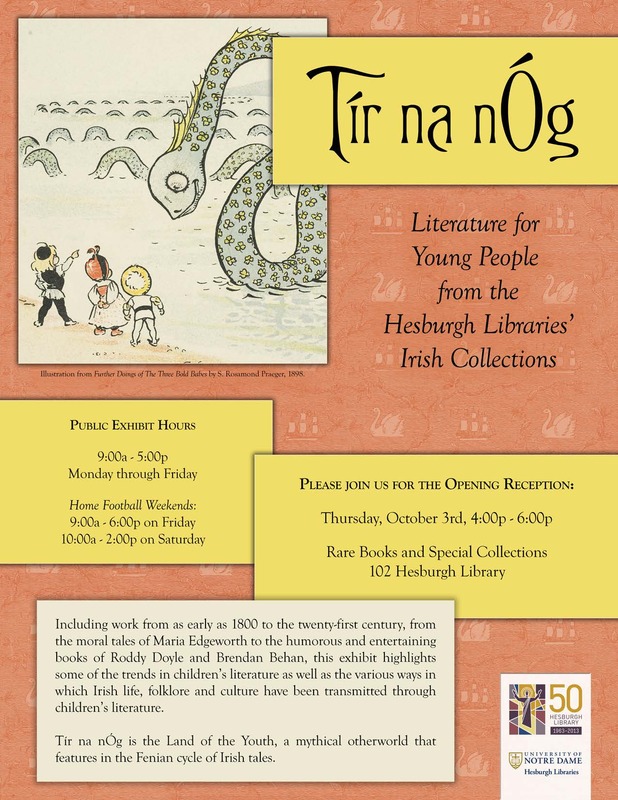 Leabhar mór na nAmhrán / Lochlainn Ó Tuairisg, Mícheál Ó Conghaile, Peadar Ó Ceannabháin. Cló Iar-Chonnacht, 2013. The ethics of love: an essay on James Joyce/ Benjamin Boysen. University Press of Southern Denmark, 2013. Seamus Heaney and East European poetry in translation: poetics of exile/ Carmen Bugan. Modern Humanities Research Association, 2013. James Joyce/ editor, Albert Wachtel. Dhá chlog ag bualadh: Dánta /Louis Mulcahy. An Sagart, 2012. Language, learning and teaching: Irish research perspective. Irish women in medicine, c. 1880s-1920s: origins, education and careers / Laura Kelly. Manchester University Press. Art in Ireland since 1910/ Fiona Barber. 1916, what the people saw/ selected and edited by Mick O’Farrell. Mercier, 2013. The writings of Ivor Browne: Steps along the road, the evolution of a slow learner. Atrium, 2012. Mary Tighe/ Miranda O’Connell. Somerville Press, 2013. 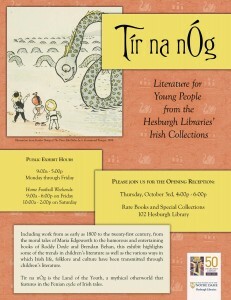 Translation right or wrong/ Susana Bayó Belenguer, Eiléan Ní Chuilleanáin, Cormac Ó Cuilleanáin. Roderick O’Flaherty’s letters: to William Molyneux, Edward Lhwyd, and Samuel Molyneux 1696-1709. Boy republic: Patrick Pearse and the weapon of education/ Brendan Walsh. Mary Lavin / editor, Elke D’Hoker. Foreword by Colm Tóibín. Irish Academic Press, 2013. Galway Bay folk dales/ Rab Swannock Fulton. The leaving of Loughrea: an Irish family in the Great Famine/ Stephen Lally. Some light reading & a song/ John Liddy. Lapwing, 2012. Howl: the silent movie/ Peter Pegnall. Lapwing, 2013.